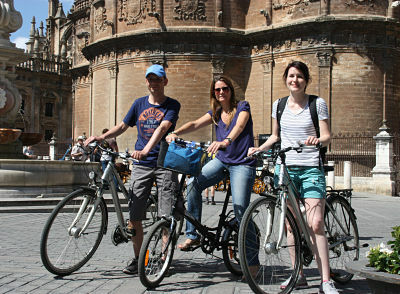 Would you like to do a private bike tour with your own group, family or incentive? Not a problem, what we offer are personalised tours on your own rhythm and at the time you like. You will see all the highlights of the city with local guides, so you know what to do and what to see in Seville. These tourist guides know everything about the city and will attend you in your own language!